Bruce Fordyce has been famous for winning the Comrades Ultramarathon 8 times in a row, and nine times in total. Yet he is creating a bigger legacy as a systems-inspired leader in South Africa, via the parkrun movement. 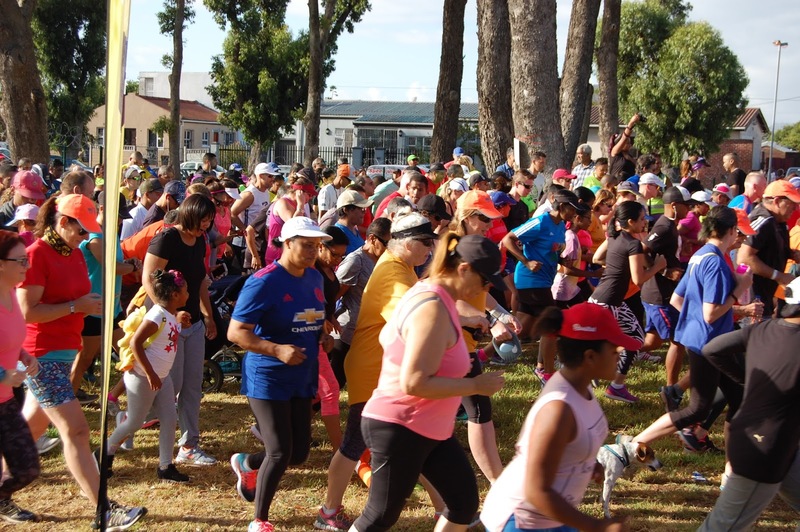 Free parkruns are getting South Africans out into our parks, waterfronts and other natural areas to run and walk weekly for joy and good health – over sixty thousand participants across the country at over 120 locations just last weekend, for example. What impresses me is that his leadership is deeply empowering.This is not all about him, it is about his energy and backing enabling 2000 volunteers across the country to put on wonderful welcoming healthful events in their local communities. He shows up, he encourages and he inspires – but as a leader he doesn’t do the work, he doesn’t control everybody, he creates space for others to lead. As Prof Andrew Thatcher, a parkrunner with over 200 under his belt, says: "Bruce's leadership is about offering his support, encouragement, and occasionally his advice. The real work gets done by inspired teams of volunteers and passionate parkrunners." It was a big honour to meet Fordyce this morning after he opened a new parkrun in my neighbourhood. What he says is that the change parkrun is bringing to South Africa is his biggest legacy – where winning Comrades brought personal fame, backing parkrun is bringing systemic change. This is the kind of leadership we need – and actually community health is a good place to start. And the leaders I see succeeding most in business are those who share the Fordyce approach: give direction, inspire others and create space for them to lead. Interested in a participating in or sponsoring a free 5 km community parkrun in your area? It is in 17 countries on five continents, including South Africa, UK, USA, Canada, Australia. Or go to parkrun global.